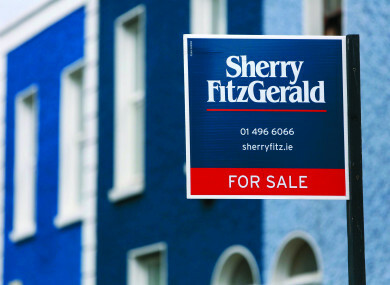 THE AVERAGE ASKING price of a property in Rathmines is now €480,273 – up almost €10,000 in the last three months alone, according to the latest data from Daft.ie. Analysis of figures for the third quarter of 2017 show asking prices in the area have risen by roughly 11 per cent since the same time last year. In total, prices have shot up by almost 50 per cent in the area since hitting their lowest level during the recession in the second quarter of 2012. However, they are still 25 per cent below their Celtic Tiger peak. This was reached in June 2008, when the average Rathmines asking price hit €641,786. And while Rathmines properties are significantly pricier than the overall Dublin average (roughly €354,000), it remains one of the less expensive areas in the stockbrokerland that is Dublin 6. The overall average price in the postcode is an even more eye-watering €554,000. Perhaps because prices here were comparatively resilient during the recession, they are also rising more slowly than some other areas. Several neighbourhoods in Dublin 7 and 8 have seen the cost of property more than double since 2012/2013. Your Neighbourhood is a new series of local area guides from TheJournal.ie, presented by KBC. We’re bringing you the best of city neighbourhoods combined with the latest data. If you live in Rathmines, let us know what you think of it in the comments! Email “Here's the average price of a home in Rathmines in 2017”. Feedback on “Here's the average price of a home in Rathmines in 2017”.